This is the Privacy Statement of the website www.duluxtradepoints.ie (“Website“). 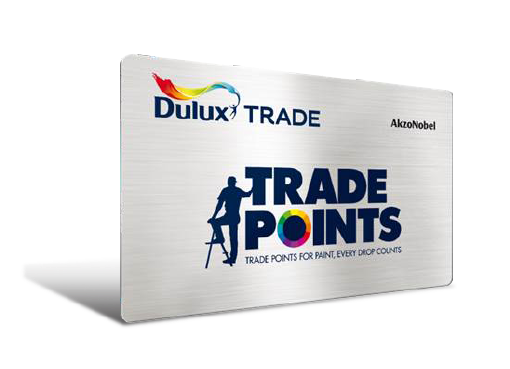 This site is operated and maintained by the AkzoNobel entity referred to in the “Website Owner” section of this website (hereafter “Dulux.” or “we”). Dulux controls the processing of all personal data collected through this website. This Privacy Statement may be changed over time. Users of the Website are advised to regularly review the Privacy Statement for possible changes. This Privacy Statement was last changed on 15th July 2015. On the Website you will find a number of links to other websites. Although these websites are selected with care, we are not responsible for the processing of your personal data through these websites. Our Terms and Conditions http://www.dulux.ie/en/legal and this Privacy Statement are therefore not applicable to the use of such websites. We also offer the opportunity to create an account with us through your social network account (such as Facebook). This will save you time in creating the account, as your sign-on credentials will be imported from your social network account. Please note that when you use this “social sign-on” option, we may receive certain information via the social network, such as your name, age, location, preferences, occupation, and other information from your public profile, and possibly also access to your pictures or lists of your friends on the social network. This information is not requested by us, but is provided by the social network through the use of the social sign-on option. When you use the social sign-on option, we will only import the information that is necessary for the creation of your account with us and will, upon receipt of any other information, discard that information received through the social network. After having created your account, you will have the opportunity to supplement it with any information you want to share with us. Persons below the age of 16 may only provide personal data to Akzo Nobel Paints (Ireland) Ltd. if they have written permission of one of their parents or their legal guardian who has read this Privacy Statement.